Appreciate all the wines of Italy by picking up some basic wine tasting tips. Then choose your favorite. 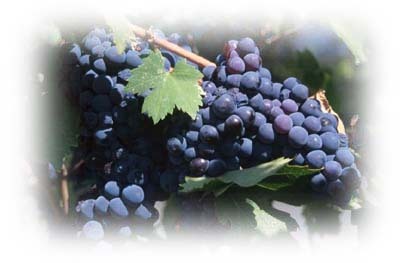 Wine colors vary due to the type of grape used, the age of the wine, and the aging process. In general, white wines take on more color as they get older while red wines lose color. Wines aged in wood (like oak barrels) can also take on more color. Swirling wine in the glass has one purpose, to oxygenate the wine. The addition of oxygen releases the chemical components that produce those heady aromas we search for, and frequently smooth out the taste of the wine. Everyone's heard about letting a wine breathe, that is, uncorking the bottle and decanting it or letting it sit open for a while before drinking. The purpose, again, is to allow oxygen to do its work. Swirling does the same thing, but in a more interactive way. Once the bouquet of the wine is released through skillful swirling, smell the wine to help you determine its characteristics. Hundreds of words have been used to describe the scents and tastes associated with wine and, unfortunately, many of them do not immediately call a particular scent to mind. Fruity, nutty and corky are pretty apparent, but what about austere and short? Even if you can't put your nostrils on a specific word to describe the wine you're smelling, you should be aware of some odors that warn you that the wine isn't up to par. Is it necessary to sniff the cork when it is placed next to you in a restaurant? No, you can get the same scent from the wine in the glass. But look at the cork for signs of leakage, sugar crystallization (common in very sweet wines), and cork degradation. Take a small amount of wine into your mouth and hold it there. Let it flow over your tongue, and all around your mouth. Think about the sensations perceived by your brain via your tastebuds. Is the wine sweet, fruity, acid, tannic (dry due to wood aging), and does it leave an aftertaste? Different areas on the tongue are responsible for perceiving these tastes. Buy on apples, sell on cheese. Apples tend to bring out harsh flavors in the wine, cheese tends to mellow them out. Once you've tasted the wine, let the feeling of it sink in. Run through a mental checklist of what you like in a wine, and if this particular one meet the standards you like to see. Is the price worth buying the wine?